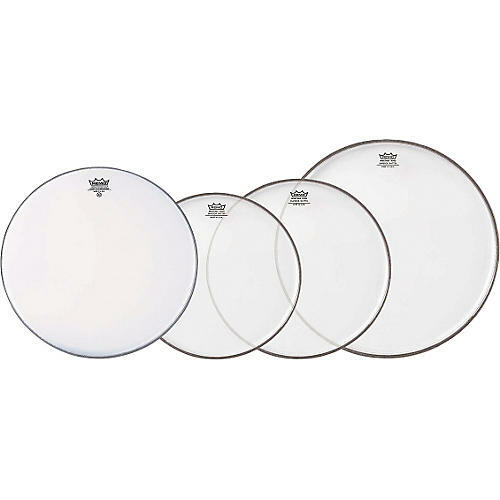 The Remo clear Emperor Standard Pro Pack includes 12, 13, and 16 in. clear Emperor drum heads, plus a free 14 in. coated Emperor snare drum head.